Last TechEd in Madrid I got an interesting question about Exchange 2013 supportability in the PowerShell ISE (Integrated Scripting Environment). This gentleman was using the Remote PowerShell functionality in ISE and was wondering if this was a supported solution. 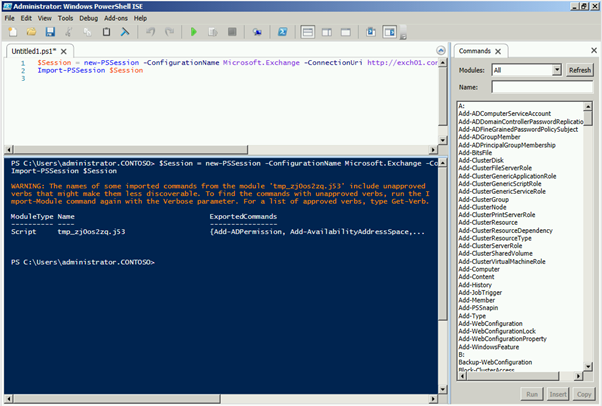 Regular PowerShell or PowerShell ISE simply loading Exchange snapins is not supported unless Technet specifically calls out that you must run local PowerShell for a specific cmdlet.